Chow time. Check out this BBQ! 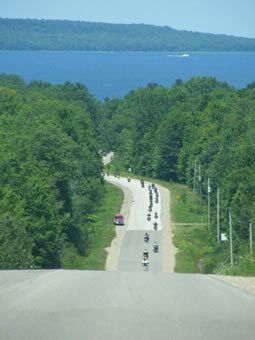 130 km police escorted ride through the scenic straights and twisties of Georgian Bay. Professionally catered all you can eat BBQ prepared on a fire truck converted to be one cool monster BBQ. Vendors, draws, auctions, DJ....good times, good fun, great cause.